My first session at Search Engine Strategies San Jose 08: Search Around the World Part 1: Asia/Pacific & Latin America . Below are my notes from the session. Keep in mind, these are only my notes, these are not exact quotes from any of the speakers, it’s only my interpretation of what was said. Fewer choices in other mediums, like TV. Because of this users are more engaged in the online conversation. There is a very little presence of analytics companies in China. Partly because companies are still hesitant to pay for this service, plus many are still not sure what to measure. Cost per Click is still the major measurement, understanding conversion and measurement has not reached the China market yet. Taiwan and Honk Kong are totally different markets then “mainland” China. All Chinese speaking areas can not be grouped together. Different tactics and strategies are needed. Domains with a .CN extension are considered more reputable and give more weight. Motoko Hunt followed with a presentation on the Japanese market. Omniture Aalytics is present in Japan. Google Analytics is also present. However, larger companies seem to outsource analytics. Keyword Research and translation is a unique challenge. Multiple character sets and translations are needed to capture all traffic. Best Buy was instantly indexed after creating a translated site. Traffic increased but site wasn’t ready for consumers. English credit card processing is considered more “legitimate” in shopping sites. Although, that seems to be changing now. Banner campaigns do well, consumers are not as jaded as US Consumers. Summary: The session had a consistent message: Translation software doesn’t work. Localize not translate. If businesses are really serious about having an international presence they need to have content translated by a human editors. 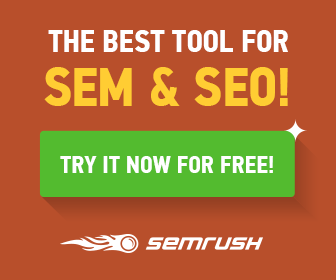 It’s difficult to find translators that understand online marketing, especially SEM. Therefore, extensive testing is necessary to make sure the right words are target for optimization. I have learned from previous Search Engine Strategies San Jose conferences that it’s best to have a plan of action. I go in with a set of goals or questions, and then I determine what sessions will help me answer those questions. 1:30pm-2:30pm – Orion Keynote Panel – How Much Search is Enough? 7:00pm-11:00pm – Google Dance – Glow in the Dark! 9:00am-10:00am – Keynote Roundtable: Why Does Search Get the Credit for Everything? 10:15am-11:15am – The Business Case for SEO Content Development: Turning Words Into Action! As an in-house search engine marketer, I have often compared notes to my counter parts in the “out-house” world. I thoroughly enjoy the work I do, as I long as I remind myself that the grass is not always greener on the other side. In fact, the green grass is usually because of a buried septic tank. The unknown truth about in-house search engine marketing is that a majority of your time, at least at the senior level, is spent educating and “selling” SEO. Corporate search engine marketing can not be done by a single person. There has to be a buy-in from the company. Getting individuals on-board with SEO requires strong communication, presentation and often sales skills. Obtaining company buy-in also requires working with different personalities. There is not a magic phase or methodology that works for everyone. Some people need statistics and numbers to prove the return on ad spend. Others just need ego stroking. Search engine marketing is a vital part of a legitimate business. Corporate buy-in requires educating the company. This can be done through continuous presentations, conference calls, memos, white papers, or various other communication avenues. Having Duplicate Content Panic Attacks? Despite what some may say there is not a Google “penalty” for duplicate content. The word is “filter”. Google is not trying to punish sites for having duplicate content. They are trying to please their users. If multiple pages showed up in search engine results for the same content, then Google has failed to do its job. It makes sense to only show one site. Therefore, Google will filter out site from a search query that returns the same results. As a user of a search engine, that’s what I want. Now that you know the Google is not evil, what should you do? Yes, Google will only show one page if it is a duplicate of another. However, Google is also smart enough to know what page to show. If the site is gathering quality links and traffic, then that page will be the page that eventually takes over. That is not to say search engine penalties do not exist, but hopefully that’s not you. Penalties are reserved for those attempting black hat techniques. These sites are intentionally trying to mislead the search engines. However, these are exceptions. Despite what the blogs may say these penalties are rare and usually happening to sites that are expecting the penalty. These are the so called “throw-away” sites. Deceptive web site owners intentionally break the rules for instant gratification, with the expectation that their site will get banned. Then, they open up a new site. However, for the average company who is worried about brand awareness, this is a non-issue and so is duplicate content. If you find yourself having duplicate content, it’s not the end of the world. Yes, it is best to avoid duplicate content, but it some cases it’s inevitable. Extra Content – Wrap the content around consumer-generated content, such as reviews, notes, comments, etc. Unique Titles – Change the page titles on all pages. Even duplicated content needs unique title tags. Link Bait – Focus extra link building efforts on the primary site. It’s important to keep in mind; duplicate content is not a new issue. Search engines have always tried to filter the results. And for the most part, they do an excellent job. Duplicate content is not the end of the world and it can be overcome. Could Ask.com Finally be on the Right Commercial Track? HitWise’ Bill Tancer recently noted that Ask.com has experienced a lift in weekly market share. The question is, did Ask.com’s new marketing campaigns cause this? Well, like all broadcast messages it’s hard to tell for sure. They are definitely better and less offensive than the previous “algorithm” commercials. They seem to be getting closer to the mark, but yet still way off. However, Ask.com is trying too hard at mass marketing. Mass marketing is dead. Unfortunately, there is a lot missing from Ask Sponsored Search program that we can not buy into. Until we can get it, I can not recommend the product to friends and family. Ask.com could save time and money by going after a small, yet ignitable audience … us. As online marketers, if we like the product we will spread the words. Online marketers need to “buy in”, before Ask expects others to adapt. By following PyroMarketing rules, Ask.com can make small steps that can prove wonders.